This is a 4 step drill which will help your take away, backswing and downswing. Performing this drill will get you on plane in the backswing and put you in a correct position at the top of the backswing. In addition, if you let the arms "fall" on the downswing, you will begin to eliminate the over the top move. 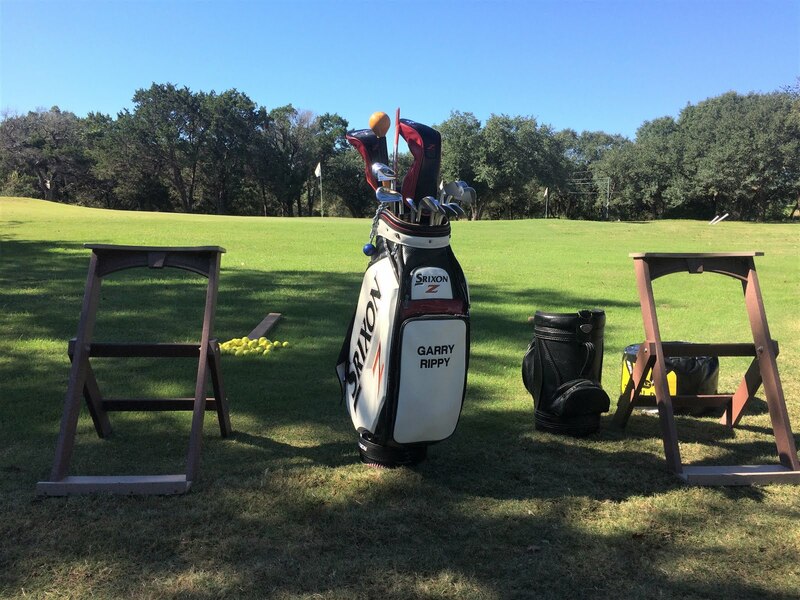 Take your normal set up with a pitching wedge. Step 1: Simply hinge the wrists slightly upward. 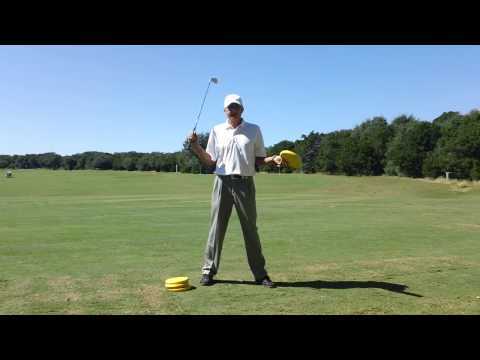 Step 2: Now rotate the shoulders so the club is positioned about 45 degrees to your stance line. Step 3: As the arms work up to the top of the backswing, allow the torso to rotate. Feel like you are turning your entire back side out of the way as your arms swing up to the top. The center of your chest will shift and be positioned over the top of the rear leg. Step 4: Shift your weight to the front leg, feel the arms fall and go to the finish. I recommend performing the drill in a 4 step process. In other words, once you get your set up, go to each of the three positions and stop. Hinge the wrists...stop, rotate the shoulders slightly and position the club about 45 degrees to your stance line...stop, rotate the back side out of the way as the arms swing to the top...stop, now shift your weight to the front leg and finish the swing. As you improve, you may eliminate step 1 and just go to step 2. From there swing to the top and then to the finish with no stops. You will soon be on plane and on your way to more solid golf shots. Pay close attention to the pictures which show the difference in positions as you transition from step 3 to step 4 and the position after impact to the finish. Below is a video of me performing the 1-2-3-4 Drill.